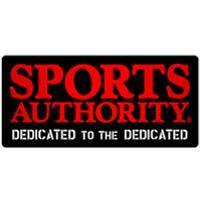 Sports Authority - The nation's preeminent full-line sporting goods chain. We have over 450 stores in 45 U.S. states. Our customers are passionate about the sports they pursue?they want to run faster, jump higher, hit the ball harder, carry their team to victory, and more. We are dedicated to providing our customers with the best shopping experience possible by consistently providing great brands at great values with industry-leading customer service and product knowledge. We are dedicated to you, and helping you take your game to the next level. If this is what you have been looking for in a sporting goods retailer, then you?ve come to the right store! Sports Authority understands the passion that comes with being dedicated to a goal. From treadmills, cardio equipment, trampolines, sports apparel, footwear for everyone in the family, golf, tennis, cycling, paintball and more- we have it all. Shop online or in-store for your favorite brands - Nike, Nike Golf, The North Face, Callaway, Adidas, Coleman, New Balance, Titleist, Taylor Made, Prince, Head, Mongoose, Schwinn, Huffy, Louisville Slugger, Under Armour, Columbia, Bowflex, Easton, Spalding, Lifetime and more! Sports Authority has all your sporting goods and sporting apparel available online or in our stores. No reviews were found for Sports Authority.